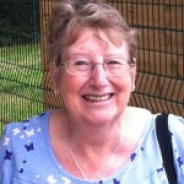 I am a retired secretary and live with my husband just outside of London, England. I am married with two grown up children and three little grandsons. The photo is of our eldest grandson Tyler cuddling his cousin James when he was just a few months old. 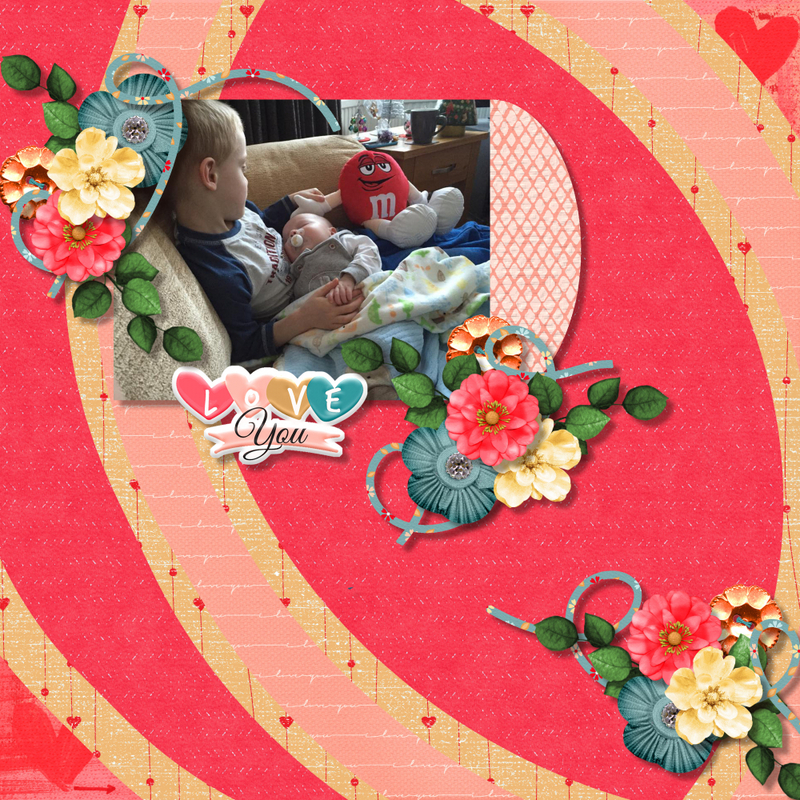 My layout was created using the ON THE CURVE TEMPLATES from Throwing Some Scraps Around. I also used the FEBRUARY 2019 MIX N MATCH KITS from Throwing Some Scraps Around.